This brush can be used with wet or dry products. You can use this with powder or blush. This is also perfect for contouring. -Directions: Dip brush in powder and tap off excess powder before use. -Care Instructions: Clean this brush regularly with the Elf brush cleanser and shampoo. This helps maintain color application. Then reshape your brush and let dry. If you do not have the cleanser and shampoo, it's ok. I do not have the cleaner and the shampoo, so I use warm water and my regular shampoo to clean. For me it works fine. I love this brush because it feels so soft against my skin, a lot of brushes are usually hard and rough and leaves your skin irritated. This is very good when blending your powder or blush and as mentioned in the beginning, this also works with wet products. As for contouring using this brush gives you a natural look. 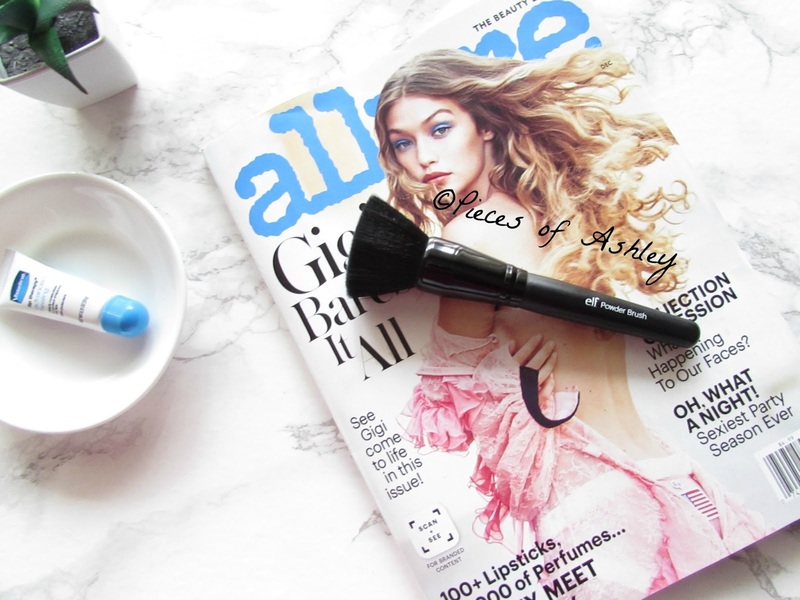 I hope you enjoyed reading about the Elf Powder Brush! Have you tried this before?